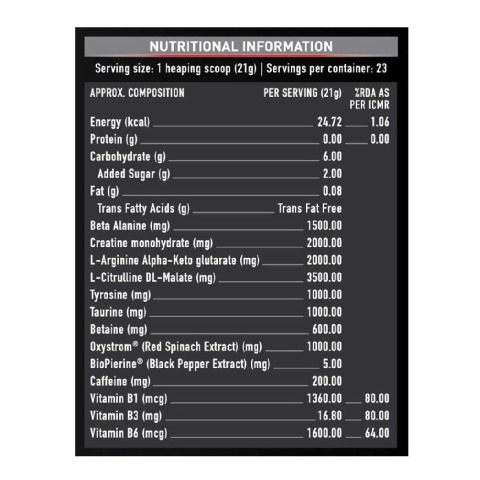 FULL TRANSPARENCY: With the proprietary blends found in other pre-workout products, you never know exactly what amounts you're putting into your body. 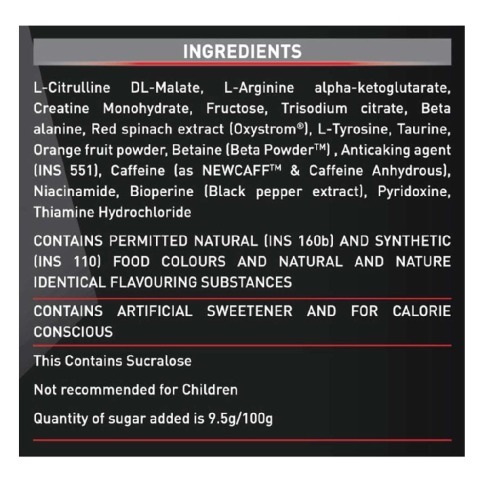 MuscleBlaze Torque Pre-Workout Orange contains NO PROPRIETARY BLENDS, which means what it says on the label is what's in the scoop. 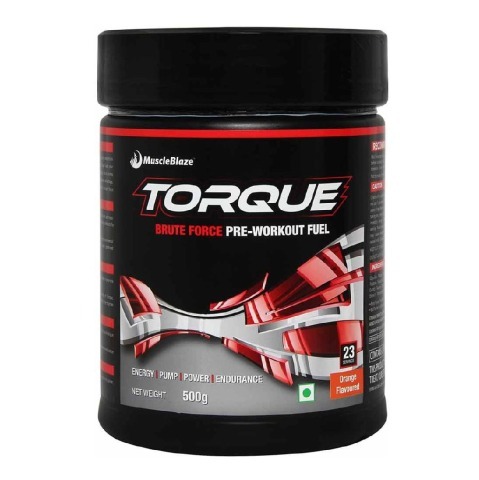 Ramp up your workout performance with MuscleBlaze Torque Pre-Workout 1.1 lb Orange. 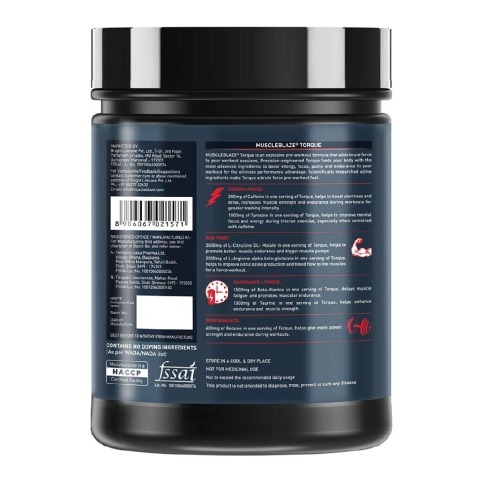 Unlike other pre-workout mixes, this explosive pre-workout formula is packed with right nutrients, which gives you many benefits in a single supplement. It boosts your energy level, enhances endurance, increases blood circulation, pumps up your muscles and helps you work out for long hours at the gym. 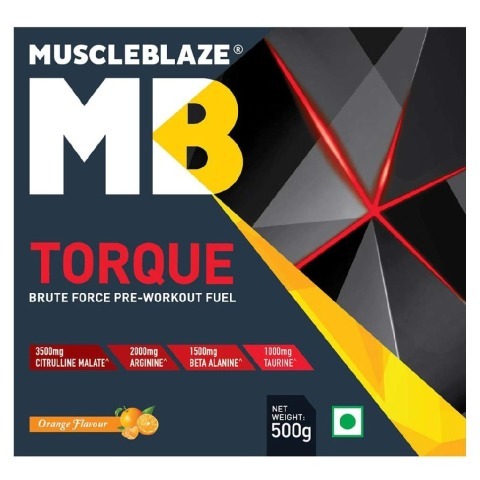 MuscleBlaze Torque Pre-Workout Orange increases your focus to help you achieve high through the training sessions. 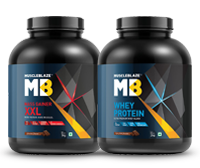 Two game-changing ingredients present in this all-new MuscleBlaze pre-workout mix are bioprene and red spinach. 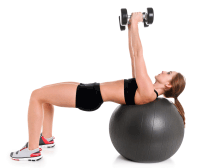 The addition of red spinach amplifies your endurance and makes you work out hard, increasing the much-desired result. Bioprene allows an easy absorption of the nutrients in your body. 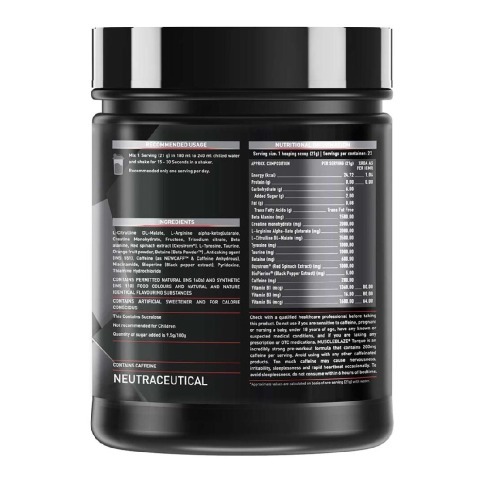 The presence of Beta-alanine delays muscle fatigue and caffeine improves mental alertness and muscular strength. The supplement also contains tyrosine, which, along with caffeine, enhances your mental focus and alertness, and drives you to achieve more at the gym. 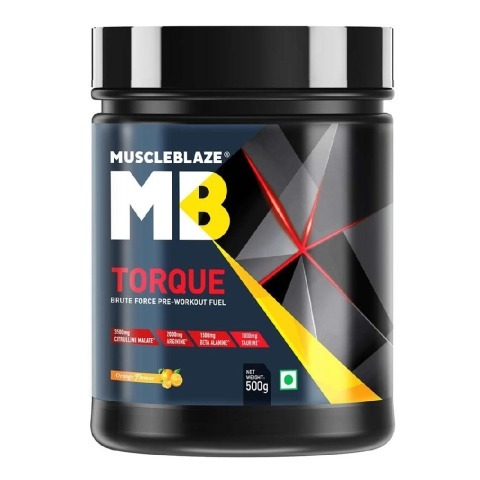 Containing Arginine AKG, this pre-workout powder from MuscleBlaze improves the supply of blood to the muscles and helps in pumping up of muscles. The science-backed nutrients present in this supplement supercharge your workout sessions to increase your high-intensity performance at the gym. 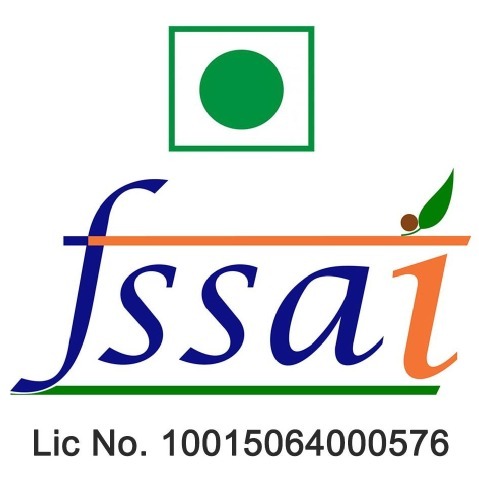 Citrulline Malate, Arginine, Alpha-Ketoglutarate, Creatine Monohydrate, Fructose, Trisodium Citrate, Beta Alanine, Betaine Anhydrous, Red Spinach Extract, Taurine, Caffeine, Silicon Dioxide, Black Pepper Extract, Niacinamide, Pyridoxine hydrochloride and Thiamine hydrochloride. Mix 1 heaping scoop (21g) in 240ml of chilled water and drink 20-30 minutes before workouts. Always begin use with 1/2 scoop or less and access your tolerance. Once tolerance is assessed, take a minimum dose of 1 scoop. Do not exceed the stated recommended daily dose.